I am always seeking the wisdom and insights of those who have spent decades working in software development. The experiences of those who came before us is a rich source of wisdom, information, and techniques. Only a few problems in our field are truly new. Most of the solutions we seek have been written about time-and-time-again over the past 50 years. Rather than continually seeking new technology as the panacea to our problems, we should focus ourselves on applying the tried and tested basic principles of our field. 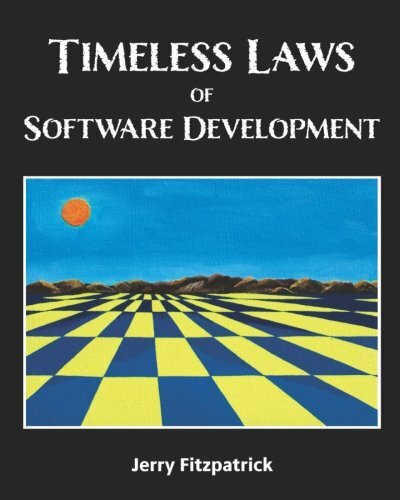 Given my point of view, it's no surprise that I was immediately drawn to a book titled Timeless Laws of Software Development. The author, Jerry Fitzpatrick, is a software instructor and consultant who has worked in a variety of industries: biomedical, fitness, oil and gas, telecommunications, and manufacturing. Even more impressive for someone writing about the Timeless Laws of Software Development, Jerry was originally an electrical engineer. He worked with Bob Martin and James Grenning at Teradyne, where he developed the hardware for Teradyne's early voice response system. Jerry has spent his career dealing with the same problems we are currently dealing with. It would be criminal not to steal and apply his hard-earned knowledge. I recommend this invaluable book equally to developers, team leads, architects, and project managers. The book is short, weighing in at a total of 180 pages, including the appendices, glossary, and index. Do not be fooled by its small stature, for there is much wisdom packed into these pages. Jerry opens with an introductory chapter and dedicates an entire chapter to each of his six Timeless Laws (discussed below). Each law is broken down into sub-axioms, paired with examples, and annotated with quotes and primary sources. "Exploring Old Problems", which covers symptoms of the software crisis, the cost to develop software, project factors and struggles, software maintenance costs, superhuman developers, and software renovation. "Exploring Old Problems" was an exemplary chapter. I highly recommended it to project managers and team leads. My only real critique of the book is that the information is not partitioned in a way that makes it easily accessible to different roles - project managers may miss valuable lessons while glossing over programming details. Don't give in to the temptation to skip: each chapter has valuable advice no matter your role. At first glance, these six laws are so broadly stated that the natural reaction is, "Duh". Where the book shines is in the breakdown of these laws into sub-axioms and methods for achieving the intent of the law. I've regularly referred to this book over the past year. My hard-copy is dog-eared and many pages are covered in notes, circles, and arrows. I've incorporated many aspects of the book into my development process. I've created checklists that I use for design reviews and code reviews, helping to ensure that I catch problems as early as possible. I've created additional documentation for my projects, as well as templates to facilitate ease of reuse. 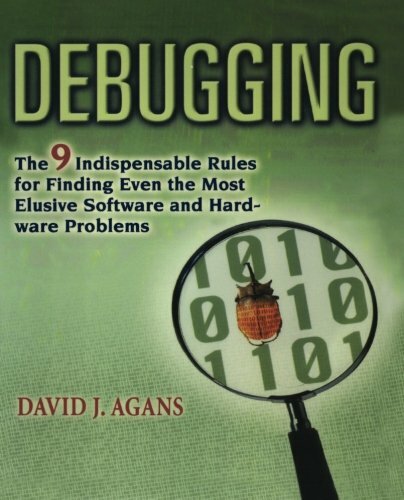 Even experienced developers and teams can benefit from a review of this book. Some of the concepts may be familiar to you, but we all benefit from a refresher. There is also the chance that you will find one valuable gem to improve your practice, and isn't that worth the small price of a book? The odds are high that you'll find more than one knowledge gem while reading Timeless Laws. Documentation is the only way to transfer knowledge without describing things in person. One such method that I pulled from the book is the idea of the "Development Plan". The plan serves as a guide for developers working on the project. The plan describes the development tools, project, goals, and priorities. As with all documentation, start simple and grow the development plan as new information becomes available or required. Rather than having a large document, it's easy to break the it up into smaller, standalone files. Having separate documents will help developers easily find the information they need. The development plan should be kept within the repository so developers can easily find and update it. Minimum requirements for hardware, OS, compute power, etc. Development plans are most useful for new team members, since they can refer to the document and become productive without taking much time from other developers. However, your entire team will benefit from having a uniform set of guidelines that can be easily located and referenced. Many of us, myself included, are guilty of participating in the "what if" game. The "what if" game is prevalent among developers, especially when new ideas are proposed. The easiest way to shoot a hole in a new idea is to ask a "what if" question: "This architecture looks ok, but what if we need to support 100,000,000 connections at once?" "What if" questions are difficult to refute, as they are often irrational. We should always account for realistic possibilities, but objections should be considered only if the person can explain why the proposal is disruptive now or is going to be disruptive in the future. Aside from keeping conversations focused on realistic possibilities, we can mitigate the ability to ask "what if" with clear and well-defined requirements. I have been a long-time proponent of error logging, and I’ve written many embedded logging libraries over the past decade. While I initially was skeptical of Fitzpatrick’s attitude toward error logging, I started paying closer attention to the log files I was working with as well as the use of logging in my own code. I noticed the points that Jerry highlighted: my code was cluttered, logs were increasingly useless, and it was always a struggle to remove outdated logging statements. You can read more about my thoughts on error logging in my article: The Dark Side of Error Logging. Somewhere along the way in my career, the idea of defensive programming was drilled into me. Many of my old libraries and programs are layered with unnecessary conditional statements and error-code returns. These checks contribute to code bloat, since they are often repeated at multiple levels in the stack. Jerry points out that in conventional product design, designs are based on working parts, not defective ones. As such, designing our software systems based on the assumption that all modules are potentially defective leads us down the path of over-engineering. Trust lies at the heart of defensive programming. If no module can be trusted, then defensive programming is imperative. If all modules can be trusted, then defensive programming is irrelevant. Like conventional products, software should be based on working parts, not defective ones. Modules should be presumed to work until proven otherwise. This is not to say that we don't do any form of checking: inputs from outside of the program need to be validated. Assertions and contracts should be used to enforce preconditions and postconditions. Creating hard failure points helps us to catch bugs as quickly as possible. Modules inside of the system should be trusted to do their job and to enforce their own requirements. Since I've transitioned toward the design-by-contract style, my code is much smaller and easier to read. Using symmetry in interface design is one of those points that seemed obvious on the surface. Upon further inspection, I found I regularly violated symmetry rules in my interfaces. Symmetry helps us to manage the complexity of our programs and reduce the amount of knowledge we need to keep in mind at once. Since we have existing associations with naming pairs, we can easily predict function names without needing to look them up. Naming symmetry may be obvious, but where I am most guilty is in parameter order symmetry. Our procedures should utilize the same parameter ordering rules whenever possible. For example, consider the C standard library functions defined in string.h. In all but one procedure (strlen), the first parameter is the destination string, and the second parameter is the source string. The parameter order also matches the normal assignment order semantics (dest = src). // Better design: FILE is first! Keeping symmetry in mind will improve the interfaces we create. I pulled hundreds of quotes from this book, and you will be seeing many of them pop up on our Twitter Feed over the next year. A small selection of my highlights are included below. Any quotes without attribution come directly from Jerry. Intentionally hiding a bug is the greatest sin a developer can commit. Failure is de rigueur in our industry. Odds are, you're working on a project that will fail right now. Writing specs is like flossing: everybody agrees that it's a good thing, but nobody does. Robustness must be a goal and up front priority. Disorder is the natural state of all things. Software tends to get larger and more complicated unless the developers push back and make it smaller and simpler. If the developers don't push back, the battle against growth is lost by default. Always implement things when you actually need them, never when you just foresee that you need them. The best way to implement code quickly is to implement less of it. The best way to have fewer bugs is to implement less code. Most developers write code that reflects their immediate thoughts, but never return to make it smaller or clearer. The answer is to clear our heads of clutter. Clear thinking becomes clear writing; one can't exist without the other. Plan for tomorrow but implement only for today. Code that expresses its purpose clearly - without surprises - is easier to understand and less likely to contain bugs. Most developers realize that excess coupling is harmful but they don't resist it aggressively enough. Believe me: if you don't manage coupling, coupling will manage you. Few people realize how badly they write. To help prevent bugs, concurrency should only be used when needed. When it is needed, the design and implementation should be handled carefully. Sometimes problems are poorly understood until a solution is implemented and found lacking. For this reason, it's often best to implement a basic solution before attempting a more complete and complicated one. Adequate solution are usually less costly than optimal ones. I've worked with many developers who didn't seem to grasp the incredible speed at which program instructions execute. They worried about things that would have a tiny effect on performance or efficiency. They should have been worried about bug prevention and better-written code. Most sponsors would rather have a stable program delivered on-time than a slightly faster and more efficient program delivered late. It's better to implement features directly and clearly, then optimize any that affect users negatively. Efficiency and performance are only problems if the requirements haven't been met. Optimization usually reduces source code clarity, so it isn't justified for small gains in efficiency or performance. Our first priorities should be correctness, clarity, and modest flexibility. Implementation is necessarily incremental, but a good architecture is usually holistic. It requires a thorough understanding of all requirements.